DISCLAIMER: PREPARE TO DIE FROM CUTENESS GUYS! ZwKa Handcrafts is run by Helen who makes the most beautiful hair bows, hanging hearts and many other sweet accessories and homeware items. Now, I wear hair bows pretty much every single day so I like to have a large stash. Helen's bows were so cute, I couldn't resist. My order was shipped super fast and as you will see I'm really impressed with everything! 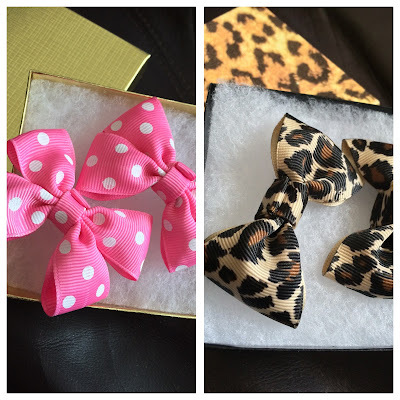 I decided on a pair of leopard print bows on alligator clips and a pair of pink bows with white polka dots on alligator clips. I was so surprised when they arrived in such cute boxes - the leopard print ones came in an actual leopard print box with padding inside!! The bows themselves are of superior quality and they are secured well to the clips. I also got a pair of Elsa bows! Like, awwwww. These are so precious - they look very cute in my hair and I think they're super unique. 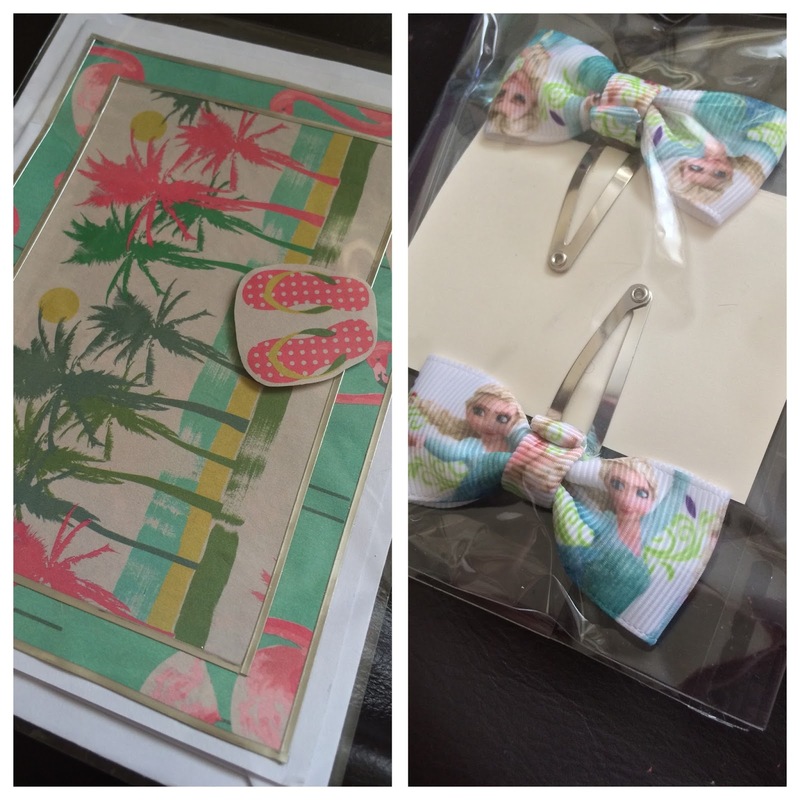 Helen also kindly sent me a handmade card with my order as well which is so beautiful. I would recommend ZwKa Handcrafts to everyone who is into cute homeware and amazing hair bows! They are such good quality and very reasonably priced considering.